‘Resilient’ doctors, or, Doctors on Fire?! There is a lot of talk in recent times about doctors needing to be resilient to be able to handle the stresses and strains of the job better, rather than getting depressed or suicidal. I welcome the attention that is being brought to these important issues. It is vital that we discuss the health issues of the health care profession itself, but it seems to me that we are stopping short of the true potential that is available to us all here. The notion of resilience means that we toughen ourselves up even more to deal with the stresses and strains of the job. The notion of resilience is still about survival. Resilience is about doctors surviving the stresses and strains of both the job and the system. Resilience is not about true health and well-being. It is about a better state of function. We don’t need doctors who are surviving. We need doctors who are thriving. Why are we as a health care profession focussing on helping doctors to survive, rather than focussing our attentions on helping them to thrive?! What if we were to have health care professionals who were thriving in their work environment and in their personal lives? What if we had doctors who were truly healthy, well and vital and full of joy? Then what might that look like in the health care system? What if our doctors were not just surviving the stresses and strains, but on fire, firing on all 8 – or 16 – cylinders 😉 radiating with enthusiasm and full vitality, energy and joy, as they moved around the wards and in their private rooms? If that were possible, how might that transform the delivery of health care? How might that transform the satisfaction of those receiving health care? Let alone the lives of those in health care. If we can see that those in the profession are struggling, as we clearly are, with such ridiculously high rates of suicide, burnout, anxiety, high psychological distress and depression – why develop programs as a bandaid to minimise the struggle, to simply make sure that fewer of us suicide? Why not take it to the nth degree to develop programs and a culture that supports us ALL to truly thrive in life, not just in medicine? Patients do not need doctors who are surviving, who are getting by being a little bit more resilient, with being a bit more ok, of being a bit further removed from committing the final act of suicide. We don’t need doctors who when asked are ‘not bad’. We need doctors who when asked say they are fantastic!! Patients need doctors who are leading the way in their health and well-being. Patients need doctors who lead the way with their own health and well-being. And, we as doctors and people, deserve to be optimally well, healthy and successful. There are many growing proposals out there for programs to make junior doctors more resilient. These programs, whilst a welcome relief and intervention from the nothing that has been there for so long, will not take us to the highest level of health and well-being that is possible for us all. I’d like to see us aim higher than resilience. As doctors, and as people, we deserve to have great health. To be healthy and well in all areas of life. I put it to us as a profession for consideration, instead of focusing on mitigating damage and harm, and aiming for a better survival rate, what if we develop programs to support our doctors to live truly amazingly well overall? As doctors its easy to see that we are poorly trained for life as a whole. We get great training on scientific facts and figures and how to follow protocols, but we are not at all trained how to succeed in life. Our lives are about our heads, our brains and what we can remember and recall, not about caring for our own bodies, our own feelings and our personal relationships or finances. We study medicine and hope that the rest of life will fall into place, and well, it usually doesn’t, although we might pretend that it does. Mastery of life takes attention to detail in all areas. And then when life in medicine does not go so well, we are left with nothing other than high distress levels… and no support. Mental and physical health and well-being is affected by factors in both our personal lives and our professional lives, the two cannot be separated. What goes wrong in one area of life automatically gets taken into the other area of life. There is no off and on switch between the professional and personal worlds. It is the same person, in the same quality in each world. Thus our personal lives affect our professional lives and vice versa. If we are to seek doctors who are amazingly well, firing on all cylinders and the radiating picture of health and well-being then it would serve us to prepare them for success in life as a whole, not just work in a hospital. To deal with the epidemic of poor health and well-being in the medical profession we need to take the approach not just of managing the problems when they are there, and not just of dealing with the problems and providing support when issues are there. All of this is most definitely needed in a culture of true care and compassion. In addition to these measures we instead need to aim high in our doctors. We need to aim to support and develop our doctors to be successful and healthy in all areas of life, by providing workshops, courses and mentorship that train them for success in all areas of life, not just medical knowledge facts and figures. And all of this begins with a foundation of care for those in the health care profession. ← Checking in – how well do you feel? Glad it’s not just me annoyed with the use of the word “resilience” in this context. It has not ever sat well with me either. “We need to aim to support and develop our doctors to be successful and healthy in all areas of life, by providing workshops, courses and mentorship that train them for success in all areas of life, not just medical knowledge facts and figures. And all of this begins with a foundation of care for those in the health care profession.” Spot on Maxine. How can a ‘caring’ profession truly function if the carers don’t care for themselves in all areas of life? This is absolutely the minimum care that any person should have as the workplace culture. What is truly surprising is that it has to be asked and worked towards. This is true Maxine, and I can say this because I watched my father live like this. My father was a doctor, and by the end of his working career he was given up, withdrawn, depressed, exhausted– not well himself; drinking to cope with the stress of his work, and even drinking on the job! 😮 Putting himself and other lives at risk! I grew up watching him work extremely long hours and come home to drink the seeming tensions away. And as you express so well Maxine, that what affects our personal lives also affects our professional lives. The two cannot be separated. What goes wrong in one area will automatically affect the other areas. I saw this in my father’s life too- not only was he over his job, his relationship with my mother was terrible, he was terrible with looking after himself, he was terrible with his finances… the list goes on…. And yet deep down I knew he was a very caring gentle man who cared deeply for people and his patients. He was troubled by what he saw walk through his surgery, absorbing other’s problems. He was known to be a great doctor in the community, the people loved him. He was an old school physician but where was the deep care for himself? He was a resilient and stubborn man – nothing could stop him. I watched him have a stroke infront of my very own eyes, and I begged for him to go to hospital. He was under the belief that he was a doctor, why would he need to go see a doctor, he could sort himself out! Crazy!! and even when he needed medical attention he was too arrogant to get help himself. After a few strokes, and a heart attack, eventually he gave up work and stayed at home on his own. Separated from my mother, and depressed, he was lost without his work. He drank himself to his death where a DVT eventually killed him. 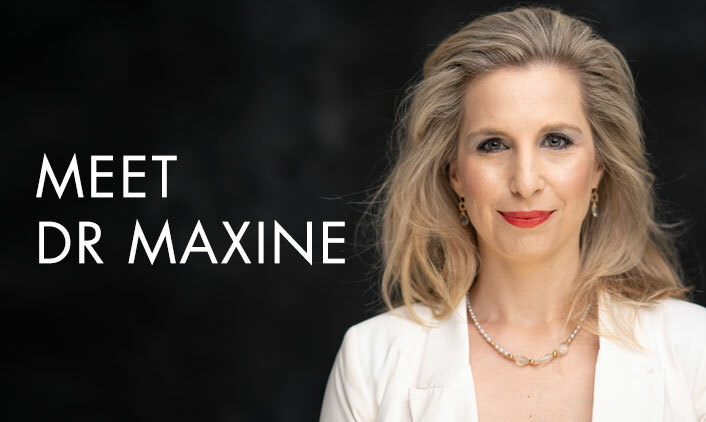 What you have written here Maxine would be a fantastic foundation of care for doctors to learn to live with vitality & wellbeing, so that they are equipped to care truly for others within their practice. Absolutely Maxine, we like to think that life’s success lives in the job title or grand events. But the fact of the matter is the moments we live every day, the details of our every day are what add up to the life we live. To know and live according to this is great medicine indeed, and big change for us as human beings.